Did you just put the finishing touches on a paradigm-shifting business book? Did you just complete the final paragraph of a presentation that you’ve been working on for years? Are you starting to write your first book, or did you just open a Word document to begin crafting a speech? In either scenario, join us in Dallas for the Marketing With a Book and Speech Summit! Henry DeVries and Mark LeBlanc will be hosting the event, and are coauthors of the book “Build Your Consulting Practice,” and cofounders of Indie Books International, based in Oceanside, CA. With combined expertise that includes multiple award-winning business books and a past NSA presidency, DeVries and Leblanc will provide insight and techniques for every step of writing a book that boosts your business. At the summit you’ll learn how to generate leads with a book, the appropriate fee range for your speeches, and why a book is your best marketing tool and a speech is your best marketing strategy.  Russell will be speaking as well, covering topics ranging from utilizing article placement for PR, and leveraging articles in business, trade and industry publications for a boost in name recognition. The Marketing With a Book and Speech Summit will be held in Dallas the Friday, July 13th—before NSA 2018 kicks off—at the Courtyard Dallas Central Expressway from 1-4pm. Bonus: it’s free! If you’d like to reserve your spot, please call 760-445-4181 or email Devin@indiebooksintl.com. Lots of exciting events going on in Dallas!